BTSA - Bent Tube Service and Advice provides the highest quality service and products throughout Australasia. With over 20 years of industry experience, we can provide you with "hands on" service and professional advice for your next tube bending project. 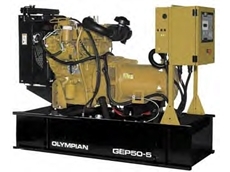 24/08/09 - Olympian generator sets represent a lower entry level product range that still boasts CAT’s legendary performance. 09/07/08 - Colour Vision Systems supplies high quality fruit-sorting products. It also fabricates ancillary equipment with a range of fruit packing technologies including orange baggers. 03/07/08 - B&B Machinery distributes a complete range of Challenge equipment which includes loaders, attachments, rear end grader blades and hay tines. 02/07/08 - B&B Machinery offers an extensive range of farming and commercial machinery.